There's more to the candle-lit dinner, the chocolates and the flowers... Hong Kong's stunning harbour lends itself to unforgettable memories. No matter what your budget, there are certainly many options to make this day extra special. Totally Over The Top: Flightseeing tours, Private Yacht Charters, etc. For fantastic views of the harbour, you can't beat this stroll. Not exactly a quiet and peaceful walk as this is a popular spot at all times, but the views of the skyline on the opposite side are stunning. Avenue of the Stars and the Promenade. If you happen to be on the Island side, this is our favorite spot to scape the concrete jungle of the Central district. A paved path takes you around ponds, waterfalls, manicured flower beds, lots of trees and vegetation, Hong Kong Park is right in the middle of the skyscrapers, a little oasis and a charming stroll. 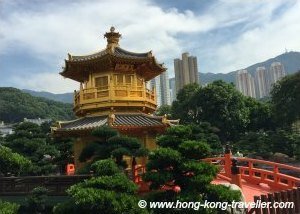 Right around the corner, is the Lower Terminus Station for Victoria Peak Tram, take it up to the Peak and enjoy some of the most fantastic views Hong Kong has to offer. 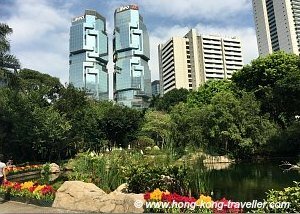 This is one of our favorite gardens, although a bit far from the main tourist areas, it is very easy to get there with the MTR, just a two-minute walk from the Diamond Hill Station on the Green line. 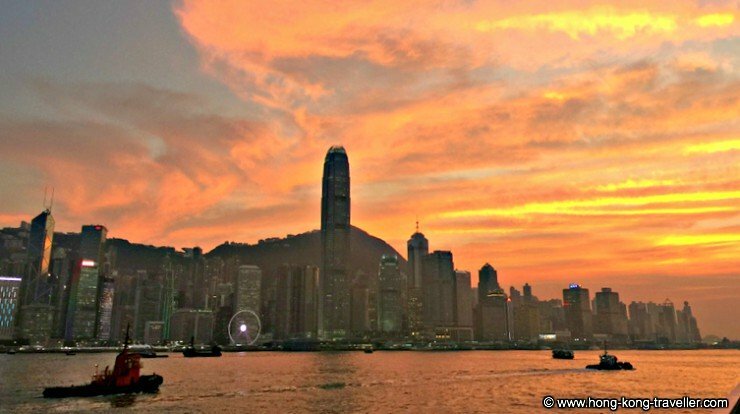 Valentine's Day and romantic sunsets go hand in hand... Luckily, in Hong Kong you don't have to go far, some of the most fantastic sunsets can be enjoyed right from the promenade on the Tsim Sha Tsui side. More on the Avenue of the Stars and the Promenade. 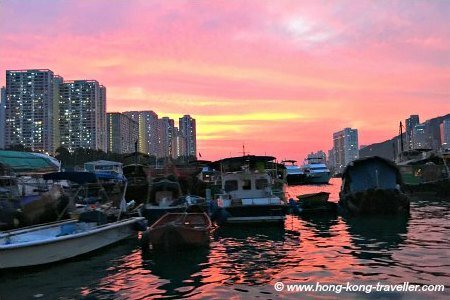 Hire a sampan to take you around the picturesque harbour with the many fishing junks and the tall buildings framing it. The lights start to glow and reflect in the water and the majestic floating restaurants are quite a sight when they are all lit. A 20-minute run for two should be around HK 75. More on the Aberdeen Fishing Village. Contrary to what many suggest, the Peak is not an optimal spot for sunsets if you also want to enjoy the city skyline, the sun sets behind and the views will be of the back of the island and the reservoir, also beautiful with the islands and the open sea in the distance but not exactly what most have in mind. 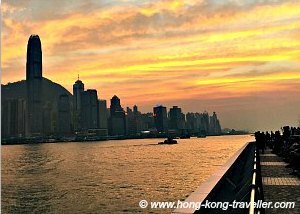 Consider a sunset cruise, also a wonderful way to enjoy the magical Hong Kong sunsets, below we list a couple of options. 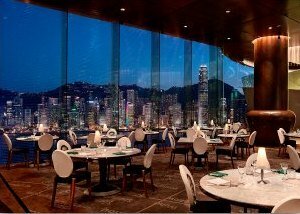 Be sure to book in advance, Valentine's Day, although a western holiday, is catching up quickly in Hong Kong, so it is better to be prepared. 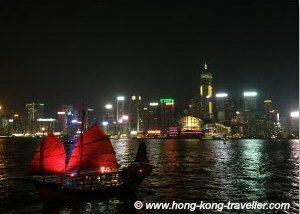 Aqua Luna is the beautiful red-sailed junk you will see cruising the waters of Victoria Harbour every day. We love the top deck which is lined on both sides with comfy sofas where you can lounge, enjoy your cocktail and the marvelous views all around you for the one-hour sail. Cruises depart from both sides of the harbour from Central Pier 9 and TST Pier 1. Evening sailings start from the TST pier, so try to board from this end rather than Central to have first pick for a good place. ›› More Info and Booking Aqua Luna Evening Sail. ›› More Info and Booking Aqua Luna Symphony of Lights Cruise. 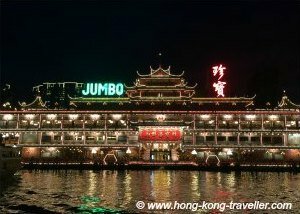 ›› More Info and Booking Sunset Cruise and Dinner at Jumbo Floating Restaurant. 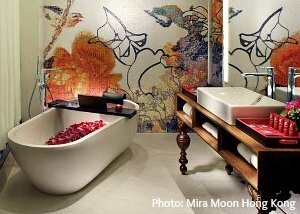 When pampering of a higher scale is called for, whether you are visiting or for a memorable staycation, you won't be short on options for romantic hotels in Hong Kong. They consistently deliver with their stunning harbour views, delightful decor and ambiance, impeccable service, fantastic restaurant options, infinity pools, exquisite spas... you are in good hands from the moment you step foot in their lobbies. Cocktails out on a rooftop bar as the sun sets over the skyline and the city lights slowly start coming to life... what could be more romantic? 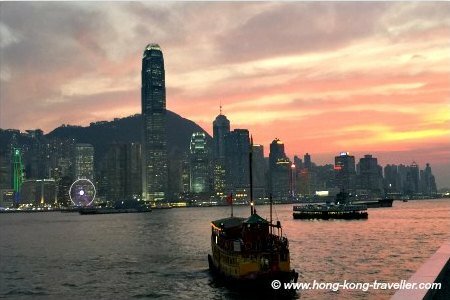 There are many choices in both sides of the harbour, in Hong Kong Island as well as Kowloon. The views will be splendid from either side. 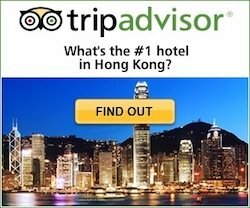 You will likely find many of these places in all the five-star and luxury hotels in Hong Kong, but not necessarily. There are quite a few options that don't have to cost an arm and a leg. 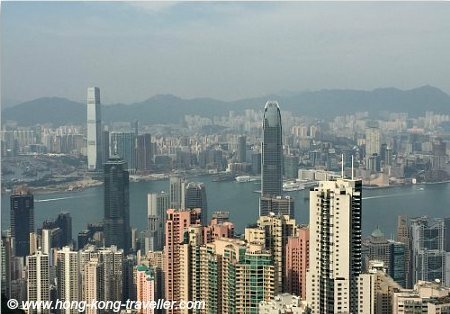 And helicopter rides are extremely convenient, taking off from the heart of Tsim Sha Tsui from the helipads on top of the Peninsula Hotel, which by the way, is a top pick for a romantic stay in the city, why not combine both? You can choose from a short 15-minute ride to full-day sightseeing excursions. 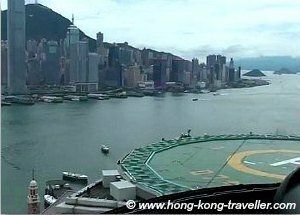 ›› More Info and Booking Hong Kong Helicopter Tours.